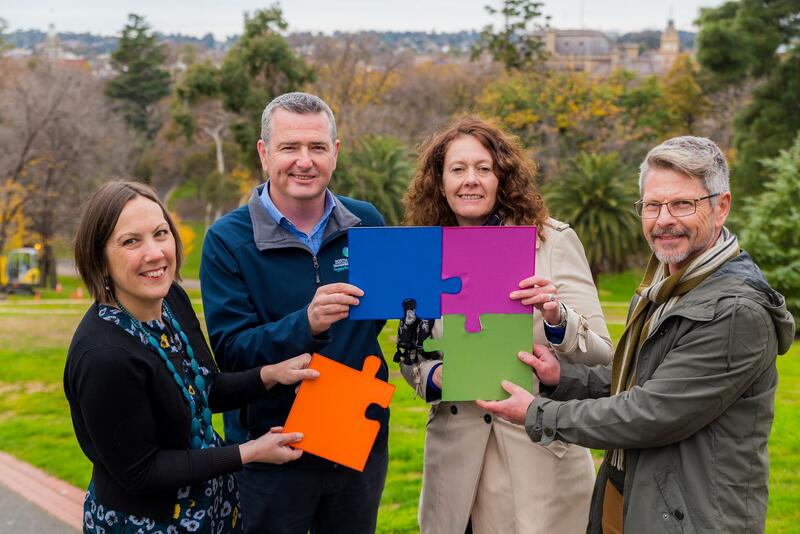 By KarenCorrJuly 17, 2017Bendigo, Changemaker Showcase, General News, Greater Bendigo Curriculum for Change, Outside the Square, What Do You Reckon? Have you noticed by the side of the road or on vacant blocks old neglected fruit trees? Jon and Glenn saw a number of old fruit trees in their local area of Taradale and decided to take an interest in them. Glenn works for Golden City Support Services and supports Jon to find activities in his local community to get involved in. Both Jon and Glenn love being outdoors and feel connected to the local environment. Jon moved to Taradale when he was very young and attended the small local primary school, which has managed to survive and continues to educate local children. Jon is impacted at times by an intellectual disability and mental illness. He does not necessarily thrive in busy, bustling environments. There are not many employment options in his area. Not all of his past experiences in working have been positive. Without other options he could easily slip into a socially isolated lifestyle. But Jon does have a passion and interest in the natural world and Glenn has helped him explore this to connect him with his local area and with local people. 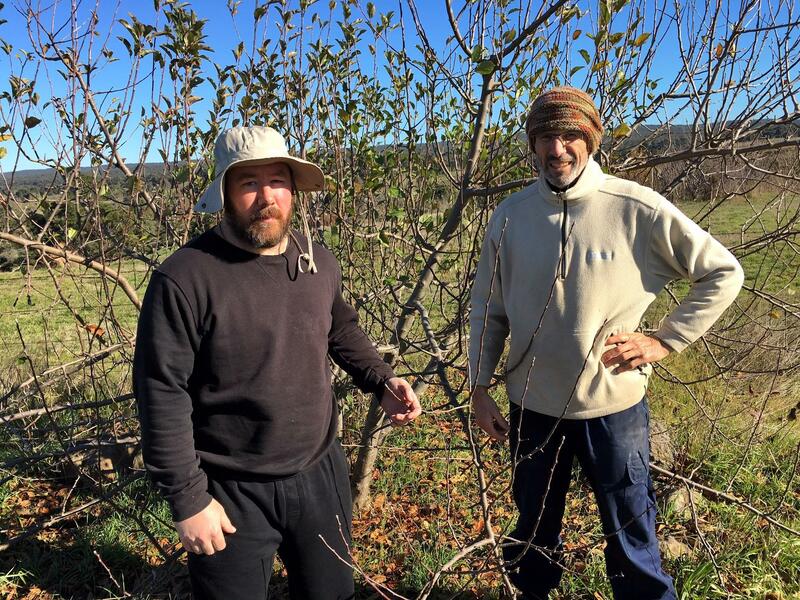 The project Jon and Glenn have developed brings old and neglected fruit trees back into productive health. They have discovered these trees in all sorts of places. Some of them are just on the side of roads and small lanes. Some are on parcels of unused crown land and some are alongside the train line that runs through Taradale. They are mostly apple and pear trees plus a few peaches (apparently delicious!). They are trees that clearly have a history and go back to a time when many more people lived in Taradale and when producing local food was an essential aspect of daily life. Jon and Glenn have gradually been pruning, weeding, manuring and mulching the trees. The trees are responding well and this year there has been lots of fruit. The next challenge is to harvest the fruit before the cockatoos do. Local people are noticing what Jon and Glenn are doing. It’s an opportunity to have some good conversations. One woman who lives close to where the peach trees had noticed what Jon and Glenn were doing and offered them some netting for the trees. That meant that they were at least able to keep the birds off some of those delicious peaches. Another person they have talked with is the local council member who has been very supportive and helped them think about how they might make better use of some of the crown land in the area. Tending to the trees is a simple local act but it has bigger and wider meaning. Nurturing the trees and being recognised for what he is achieving connects Jon to where he lives and reinforces his sense of belonging. He is proud of his trees and of what they represent. Belonging is something we all need to experience. It is only when we are in a position where our belonging feels in question that we realise how important it is. We get social reinforcement of our belonging when we have roles that are valued, like Mother, Worker, Partner, Student. If we don’t have conventional ways of ‘fitting in’ belonging can seem uncertain. Supporting people to find their own path to belonging is an important goal in the work that Golden City Support Services does. Glenn has given a clear demonstration of how that can be achieved. Thankyou to Golden City Support Services for providing this lovely example of Connecting in the lead up to our next event Outside the Square – Connecting.